Max Jordan is one of America’s most powerful, leading corporate lawyers. He is also the major stockholder and head of the billion-dollar corporation - Jordan Diamond Empire. Max must marry soon to keep the business safe and the company secure from a takeover. 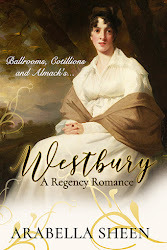 Returning to England in search of the only woman he knows and trusts to help him in his moment of need - he tracks Amy down and asks her to marry him. 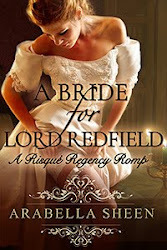 Amy Denver wants nothing to do with Max Jordan…and she certainly wants nothing to do with his marriage proposal. Five painful years have passed since Max disappeared from her life and a lot has happened to her in between. Amy has a secret she’d rather he didn’t discover…her secret is Jake…their son. 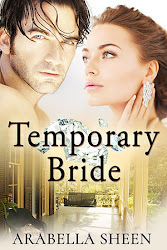 Once again Amy finds herself surrendering to Max and his demands as he whisks her and Jake off to Waterfront, his private, secluded home in the Hamptons. The whole room was waiting to gauge James’s reaction to Max’s request. James simply shrugged his shoulders offering no objections. “If it’s alright with Amy, it’s alright with me,” he replied. “No, it’s alright. Max can have you,” said James Martin laying down the law. Amy knew there would be no arguing with James. A decision had been made. “Max will have a heavy workload and he’ll need all the help he can get. You’re the best we’ve got Amy.” James had turned to look at her. She didn’t like the sound of that. How dare they pass her about as if she was a slave to be bartered with? She was totally opposed to working with Max but that didn’t seem to matter to anyone. It seemed Max was being handed what he wanted on a plate…and he wanted Amy. Unwillingly and reluctantly Amy had to agree that logically the decision was the right one. If they hoped to achieve the impossible and win the Diablo case, Max would need all the help he could get and she was the most suitable assistant for the job. When the meeting was over and everyone was leaving, Amy made a quick dash and escaped to her own office. She was on the point of collapse and could scarcely stand. All she wanted to do was close her office door and shut out the world. However, when she turned around to do just that, she found Max had followed her from the conference room and was now standing behind. He towered over her and she almost buckled at the knees. Now he had her cornered in her office. For the first time in five years, she was once again alone with Max Jordan. “Not now Max, please,” she said, almost begging. He wasn’t asking her. He was telling her. And there was no question he would get what he wanted. Max had walked back into her life and he wasn’t being quite about it. “We’ve nothing to talk about Max. Either privately or in public,” she said sternly. She was determined to avoid being alone with him at all costs. Max simple ignored what she’d just said. She smiled a tight smile as if her face would crack. He got the message. He knew she wouldn’t be calling him. She didn’t have his mobile number and he realised she wouldn’t make an effort to get in contact. “Although you might think it, I wasn’t born yesterday. Give me your number and I’ll phone you,” he demanded. She wasn’t giving him her number at any costs. She didn’t want anything to do with him and there was absolutely no way she going to become involved with him for a second time. As far as she was concerned the past was over and done with. She had moved on and she had started a new life. She was brought back to reality with a jerk. Quickly she found a scrap of paper and scribbled her number on it before unwillingly handing it over. She felt like she’d just signed her life away. “I’ll be here at five. Wait for me,” and then he was gone. With her head in a spin from the whirlwind of events that morning, Amy pressed a button on her desk putting the switchboard on hold and left her office. Passing reception she entered the nearby stationary store cupboard where the surplus office equipment was kept and, slamming the door shut behind her, she burst into tears sobbing inconsolably. Everyone, even the most junior members of staff, knew you never went into the stationary store cupboard if the door was shut. It wasn’t until fifteen minutes later, when Cathy came to grab a quick cup of coffee and a gossip with Amy about the meeting, that it was discovered she was still nowhere to be seen. She hadn’t returned to her office. Cathy went in search of her friend and was pointed in the direction of the store cupboard by one of the reception staff. Tapping on the door and receiving no reply Cathy cautiously turned the handle and found Amy with a very damp handkerchief mopping her eyes and vigorously blowing her red nose. Amy looked up and saw her friend. “But you don’t know. You can’t know what’s happened,” Amy sniffed loudly. “No, I don’t. But whatever it is, it will be alright. Nothing can be that bad. Except if something’s happened to Jake. Nothing’s happened to him…has it?” Cathy asked. All of a sudden Amy turned as white as the stack of A4 sheets of paper piled in front of her on the storeroom shelves. “Jake? No, it’s not Jake At least…he’s supposed to be in day school. No, it Jake’s father. He’s found us. Max is here,” she cried. “Max? Max Jordan?” Cathy said reeling from the shock. But Cathy didn’t hear the remainder of what Amy was saying. Amy had already left the store cupboard and was running to her office where she frantically dialled the number of Jake’s school. Her hands were shaking. The school reassured her Jake was still in class and he wouldn’t be leaving until she came to collect him. Putting down the phone Amy sank into her office chair and put her head in her hands. “Drink,” Cathy said as she put a steaming cup of tea on the desk in front of Amy. Amy picked up the cup and did as she was told. She took a few sips of the hot, sweet, steamy liquid and made a face. “You know I don’t take sugar,” Amy said grimacing. “It will do you good and whilst you are drinking it you can tell me what’s going on,” Cathy said firmly. Then the two friends sat and talked together for a while. “So you see Max came, he saw, and he conquered…and then he deserted. Well not literally. It’s just that other things probably got in his way,” Amy explained. She had no idea why she was making excuses for the man. When Cathy heard the story Amy had just told, she didn’t see, or couldn’t see and wouldn’t see, how anyone would willingly leave beautiful, gentle Amy. Only a fool would have walked away when Amy had given him her heart. author or are used fictitiously and actual events are purely coincidental.